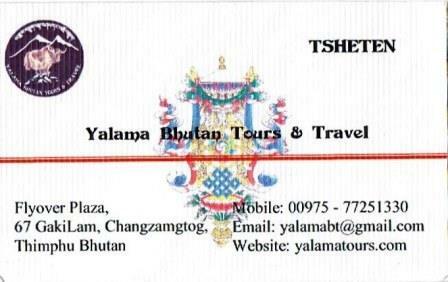 to Bhutan for the cheaper travel expenses. However, ｙou never get something for nothing. of staffs of TV media and king aides at the restaurant and the bars in the evening,. I was very surprised that our guide has so many friends and classmates among them. Yalama　will reach the ears of the king Wangchuck in the near future.